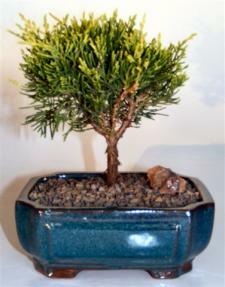 This Golden Joy Shimpaku Juniper is an improvement over other golden shimpaku junipers as its yellow hue is brighter than other available options and it maintains brilliant color throughout the year. Has a spreading and compact form and grows slowly, so it will stay beautiful and miniature for many years. Hardy, keep outdoors.